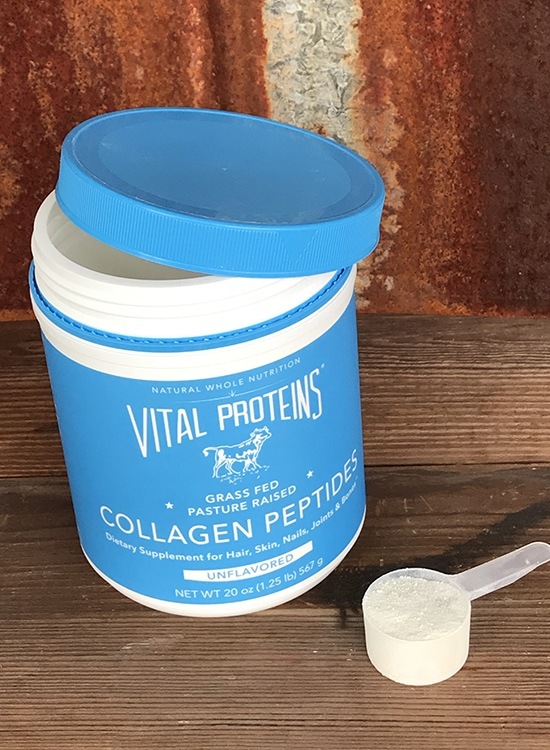 Thank you, Vital Proteins, for sponsoring this giveaway! It’s day 4 of our annual Christmas Giveaway Week, and I’m thrilled to introduce you to some products that I just started using (and loving!) a few months back. Enter: Vital Proteins! They are giving away a high-valued bundle of their bestselling products. These products will go a long way in helping you achieve your health goals this new year! 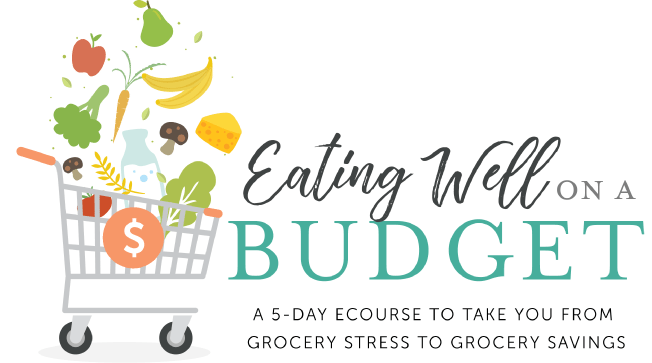 When I started following the Trim Healthy Mama eating plan a couple years ago, I learned about the huge importance of getting enough protein. In fact, every single meal we consume (including snacks!) needs to be centered in protein. But that’s not always easy to do, right? That’s where Vital Proteins comes in. They make it easy–and delicious. 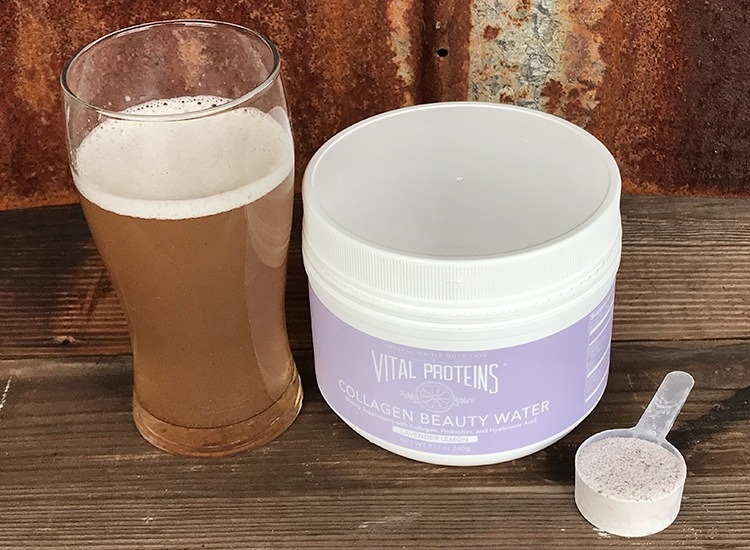 Vital Protein‘s signature product is their collagen. I began using collagen every single day at the suggestion of Trim Healthy Mama, and I love how it boosts my protein right away each morning. In fact, I simply add it to my coffee as part of my morning routine. It comes in a powder form, and it dissolved easily. It’s odorless, tasteless, and I can’t even tell it’s there! But it turns my coffee into a superfood! You can also add collagen to soups, stews, applesauce, yogurt, smoothies,teas–the sky is the limit! Collagen is the vital building block of our bodies including skin, hair, nails, gut, bones, and joints. Our bodies cannot synthesize enough collagen on their own and our diets today contain minimal collagen. 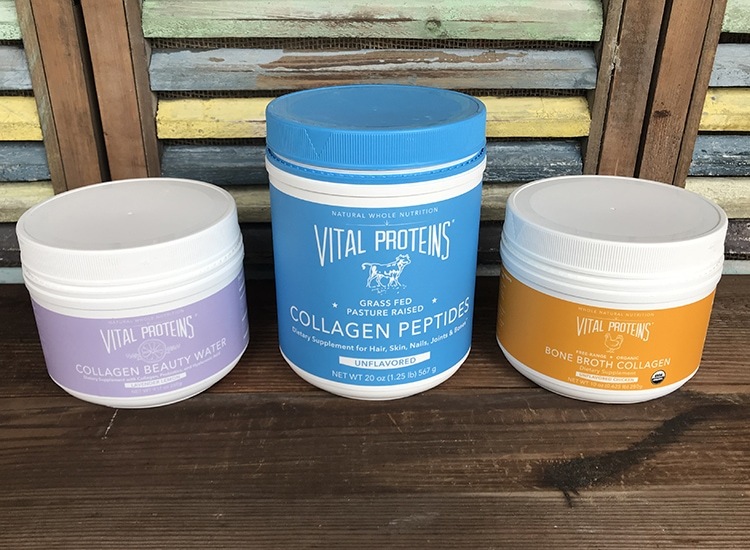 Vital Proteins provides a way for your body to boost collagen production with natural, minimally-processed and clean label products. Besides giving me a protein boost, I’ve noticed how adding collagen to my diet has also made my nails stronger. 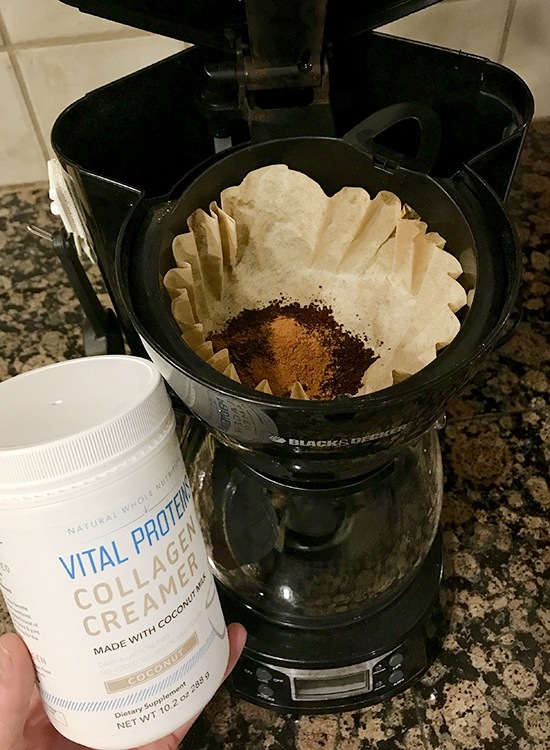 Perhaps my favorite product from Vital Proteins, though, is their brand new Coconut Collagen Creamer. 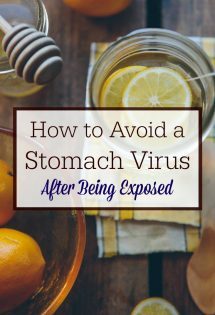 You see, in the past I was adding collagen with stevia and almond or coconut milk to my coffee to make it taste just right. 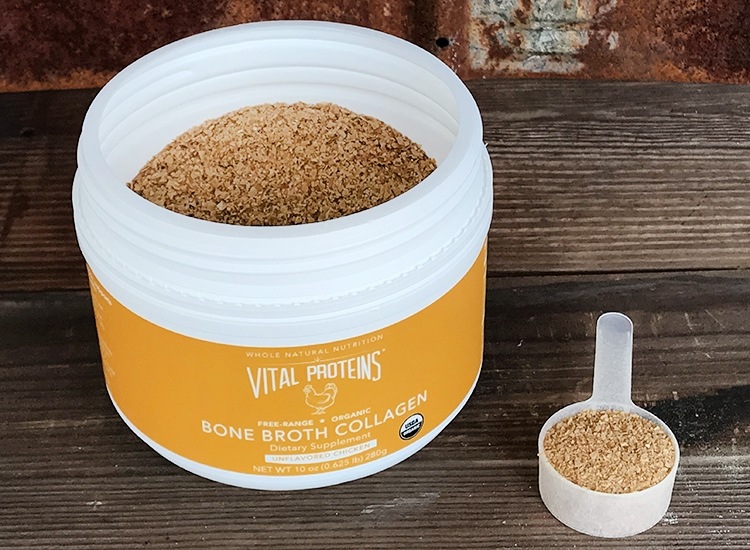 Vital Proteins’ new coffee creamer comes with a powdered coconut milk creamer and collagen already mixed in! 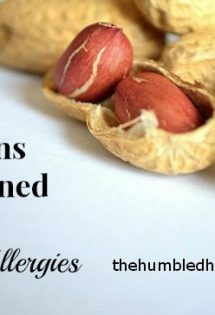 These products can be used in a variety of ways in both cooking and baking to make adding health-boosting collagen to your family’s diet a breeze! Total value of this bundle is $180!!! 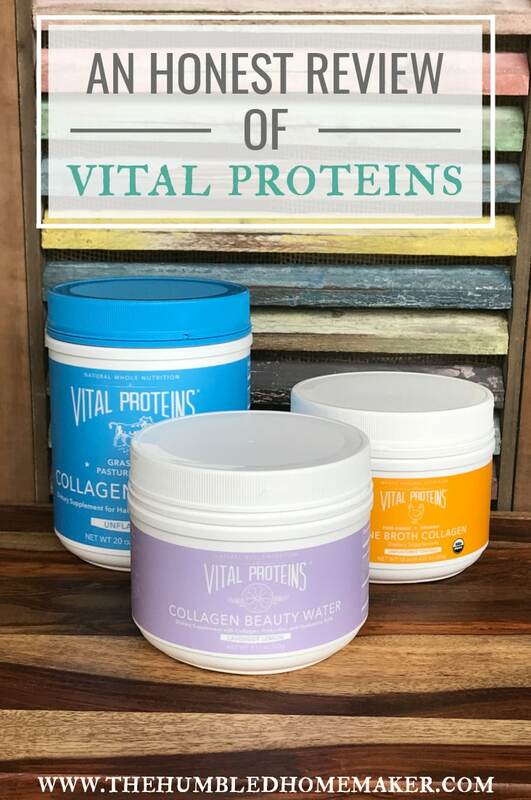 Want to WIN this amazing bundle of bestselling products from Vital Proteins?! Enter below for your chance to win! This giveaway will stay open for one week. Check out Vital Proteins here. I’d like to enter the daily give a way, Protein I think! I use collagen but I have never heard of this company. I’d love to try them out!